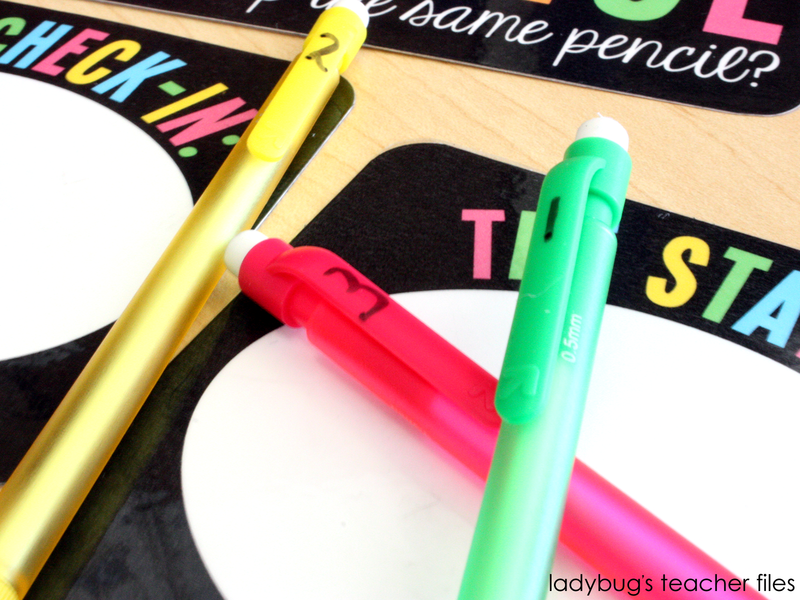 I wanted to share some updates to The Great Pencil Challenge (the green link will take you to the original post on this free management system). 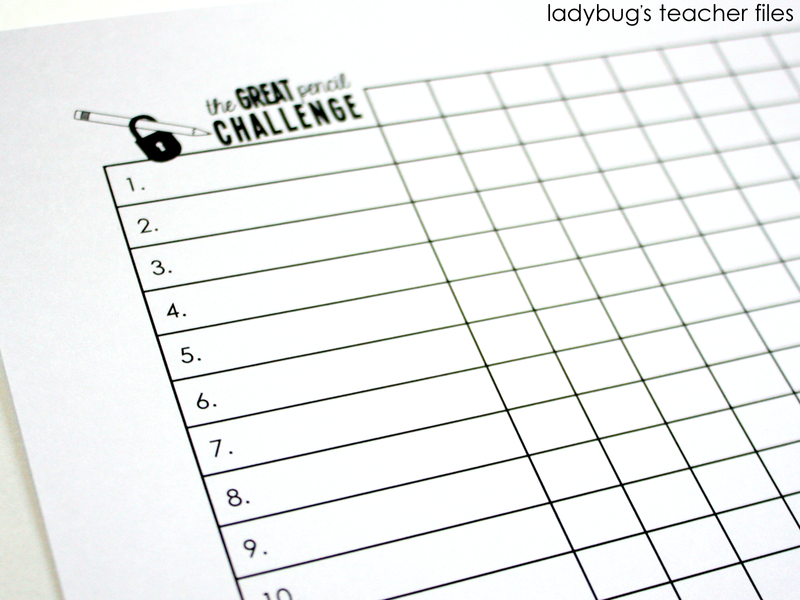 I love the challenge and it has helped us keep track of our pencils with great success…but we started late in the year and now I’d like to prepare for a new school year, with all the necessary items ready to go. challenge. For me, I do want record of it because I do like to keep track of their responsibility. 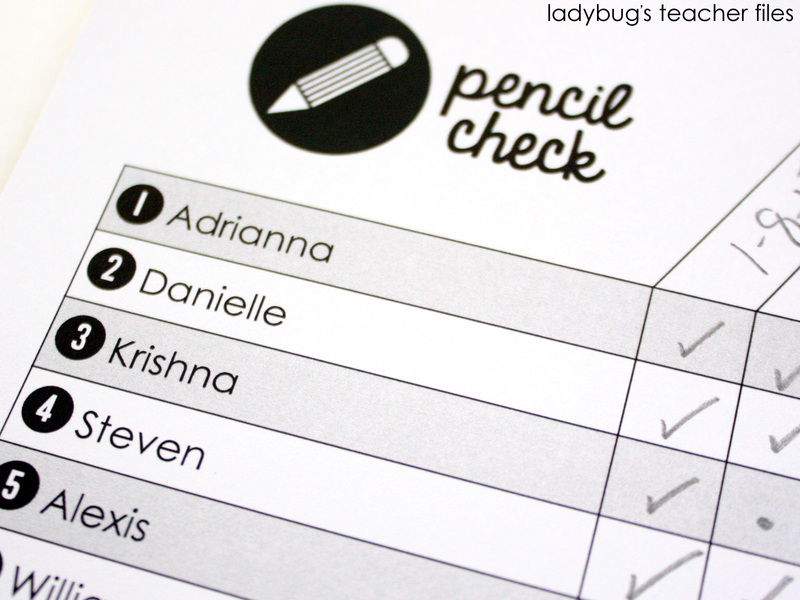 Keeping Track of Everything with Checklists. 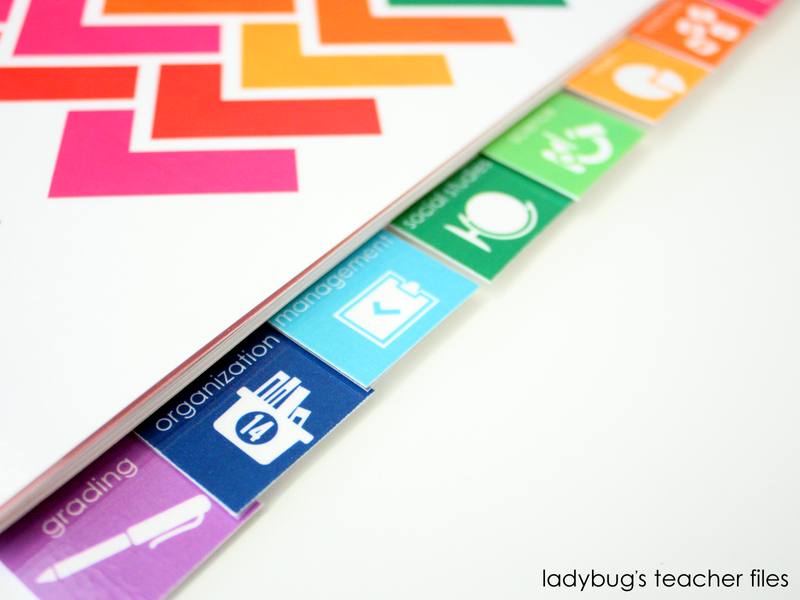 I hope this challenge will be as helpful in your class as it has been in ours! Thank you for reading! My New (no wait, old!) Color Scheme! You rock my socks off! I'm setting up my classroom on Wednesday! Thanks for sharing 🙂 I plan to use this! I can't wait to use this with my fourth graders this year! I think it is a great way to encourage responsibility and help maintain our classroom supplies! Thank you!! Love this! Thanks for setting up a whole system! Thanks for sharing these! I finally purchased the pencil sharpener from Classroom Friendly last year and it was amazing how it cut down on kids needing to sharpen their pencils. Will be adding the Great Pencil Challenge to that this year. Pencils drive me crazy too! Love this idea. Thanks for sharing! 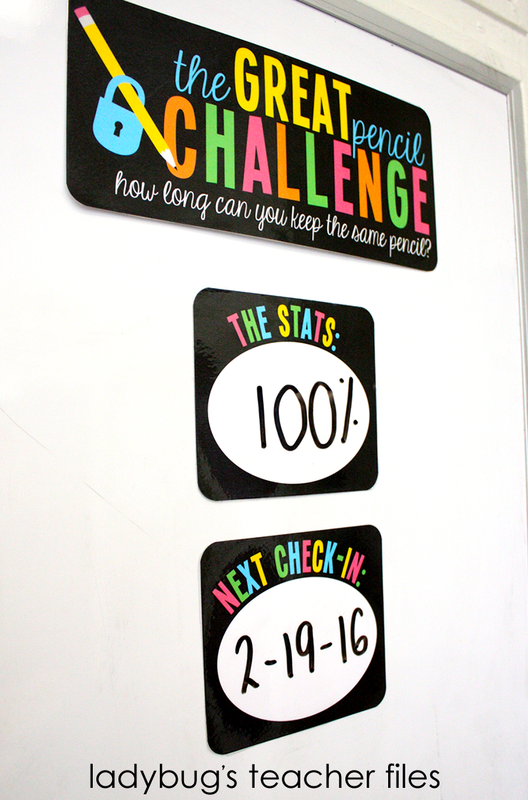 Thanks so much for sharing..I used this at the end of last year and the kiddos LOVED it! Good Idea!! I had nightmares about pencils by the end of the year! 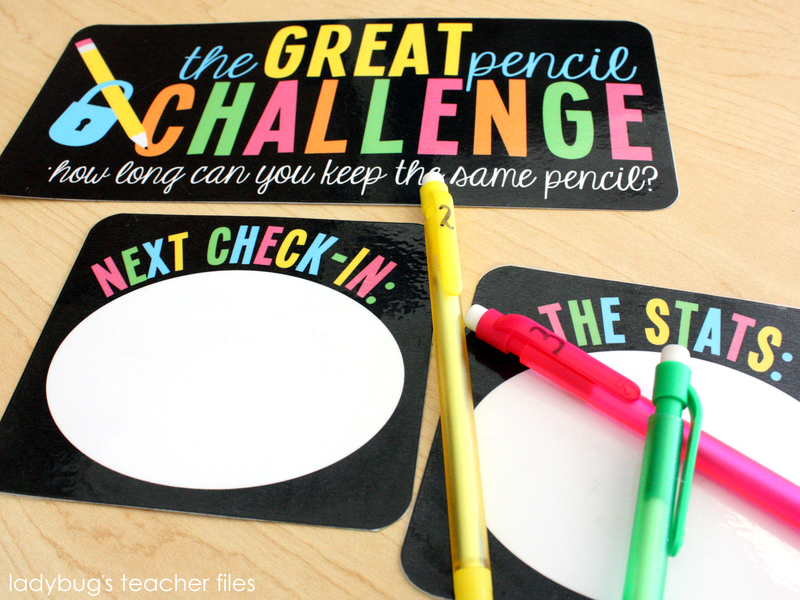 Although, I do love the idea of the pencil challenge.